JoAnn Robbins Craighead, 66, of Chattanooga, passed away on Thursday, November 8, 2018, at her residence. She graduated from Howard High School and continued at Chattanooga State Technical College where she earned an associate's degree. She was a faithful member of The World Church of The Living God. 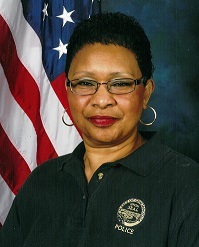 JoAnn retired from the City of Chattanooga after many years of service. She was preceded in death by her father, David Robbins; mother Louise Dossett; sister, Elestine Cotton; and son, Bradley Dossett. Survivors include her son, Adrian Craighead; sister, Carolyn (Thomas) Stallings; brother, Anthony Robbins; five grandchildren; Alexus Dossett, Courtney Dossett, JaMichael Dossett, Bradley Dossett, Jr., and Liyah Royale Craighead; four great-grandchildren. She will lie in state on Thursday, Nov. 15, after 9 a.m. at Taylor Funeral Home with the funeral to follow at 10:30 a.m. in the chapel with Pastor Clark Williams as the eulogist. Burial will be in Forest Hills Cemetery.